By Dave Barry. Great comic relief about the state of Florida. 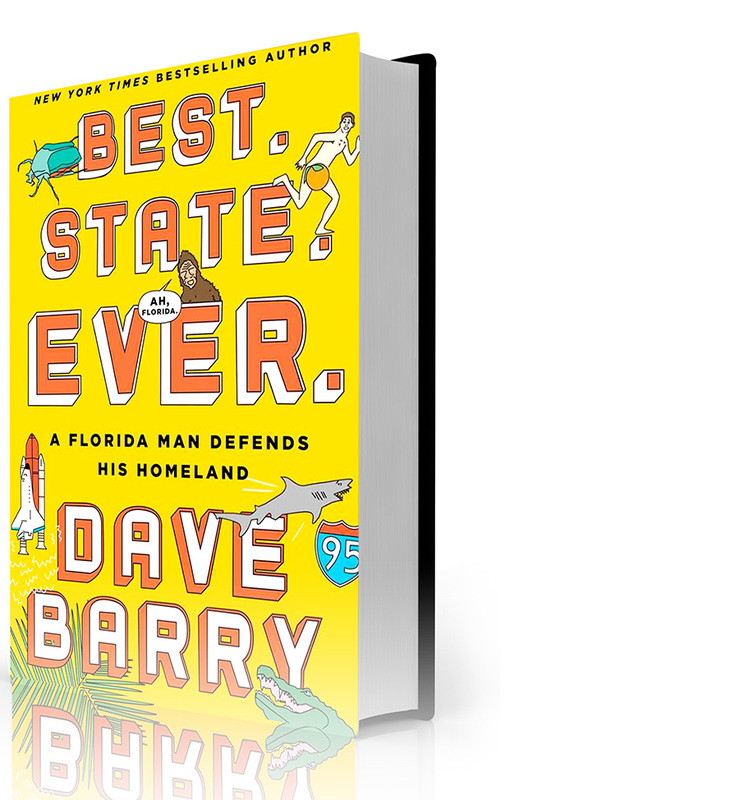 “Oh, Florida—How America’s Weirdest State Influences the Rest of the Country,” by Craig Pittman, and “Best State Ever,” by Dave Barry, were read by the Bookworm Book Club. Filled with facts, figures, and fun, these books show the wild and weird of Florida. Craig and Dave, both journalists, drew on their years of research and residency with humor front and center. Craig covers Florida history from the 1800s to present, humorously expounding on famous writers, celebrities, criminals, and politicians (sometimes the latter two being the same). Dave’s book has a chapter on The Villages; not surprising as Florida has the second-fewest native residents of any state. Facilitators Kathy Porter and I devised a twist for the book discussion. We developed a game with a “Jeopardy” format. After selecting a category and answer, teams discussed and offered questions. Florida parks, geography, weather, and critters were some of the categories. This paper founded by Al Neuharth changed the look and content of newspapers around the country. Question: What is USA Today? Donn Pearce wrote this book about his time at the Tavares Road Prison and it was made into a movie. Question: What is “Cool Hand Luke”? Florida ranks 49th in funding this medical condition. Question: What is mental health? The winning teams of the game received Florida souvenir store gifts such as flip-flop notepads and chocolate alligators. The books provided education about our state and entertainment for readers.